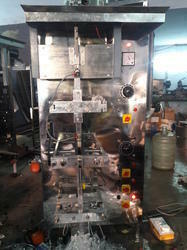 Pioneers in the industry, we offer automatic high speed milk pouch packing machine, automatic edible oil pouch packing machine, automatic paste pouch packing machine, automatic laminated pepsi cola pouch packing machine, automatic pepsi cola pouch packing machine and laminated pepsi pouch packing machine from India. 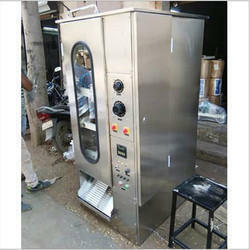 This machine is very useful to pack milk, Butter Milk, Ghee, and mango juice. 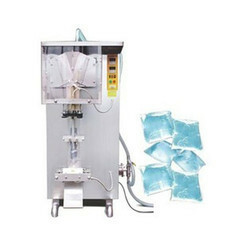 We are a renowned manufacturer of superior quality Automatic High Speed Milk Pouch Packing Machine. 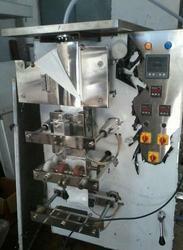 The offered machines perform tasks like pouch sealing, flow wrapping, bagging, and packing. 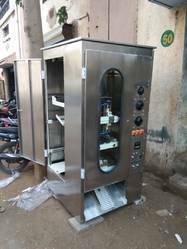 These machines are used for packing milk and milk items like cream milk, fat less milk, buttermilk etc with high speed in limited time. The offered machines are precisely designed with high tech technology which makes its operation easier and reliable. Clients can avail the offered machines from us as per their necessities. 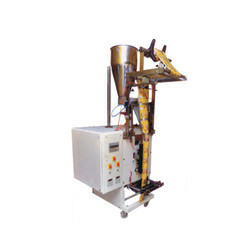 We are the manufacturer, Exporter and supplier of highly efficient Edible Oil Pouch Packing Machine. It is used for the packaging of edible oil and is manufactured from premium quality components and modern technology. Enriched with long years of experience in the industry, we are engaged in offering an extensive range of Automatic Paste Pouch Packing Machine. These are widely used for packaging of paste pouch in an efficient manner. These are manufactured from superior grade raw materials and advanced technology to meet the diverse requirements of our clients. Additionally, we also assure safe and timely delivery of our products. Since our inception, our firm is affianced to manufacture a premium quality array of Pepsi Cola Packing Machine. The Pepsi Cola Packing Machine can fill, seal and print the code on the pouch. 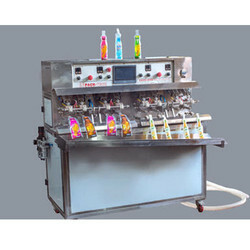 Offered machine is widely used by the companies engaged in beverage productions such as cream, non-carbonated water, drinks, and mineral water. The machine’s production line is developed in one stainless steel body that assists easy handling and maintenance. We are manufacturing and exporting a wide range of packaging machines, automatic/semi-automatic forming, filling, sealing and capping machines. Manufactured using high grade raw materials and utilizing innovative production techniques. 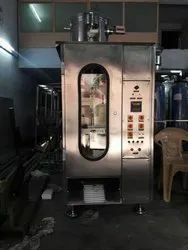 This machine is very useful to pack milk, Butter Milk, Ghee and mango juice.We are the renowned manufacturer of superior quality Milk Packing Machine. 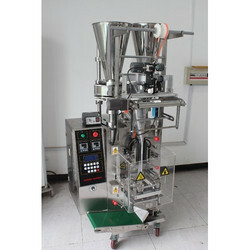 The offered machines perform tasks like pouch sealing, flow wrapping, bagging and packing. These machines are used for packing milk and milk items like cream milk, fat less milk, butter milk etc with high speed in limited time. The offered machines are precisely designed with high tech technology which makes its operation easier and reliable. Clients can avail the offered machines from us as per their necessities. Ideal for all types of powders, liquid, paste, granules etc. 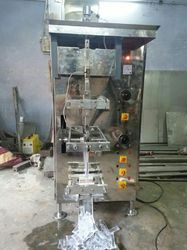 This machine is very useful to pack milk, Butter Milk, juice.We are the renowned manufacturer of superior quality Milk Packing Machine. 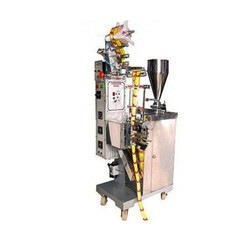 The offered machines perform tasks like pouch sealing, flow wrapping, bagging and packing. These machines are used for packing milk and milk items like cream milk, fat less milk, butter milk etc with high speed in limited time. The offered machines are precisely designed with high tech technology which makes its operation easier and reliable. Clients can avail the offered machines from us as per their necessities.